Barnett Howard & Williams PLLC is a criminal defense and personal injury law firm in Fort Worth, Texas. Our attorneys handle all criminal charges and accident cases in Tarrant County, Texas and surrounding areas. 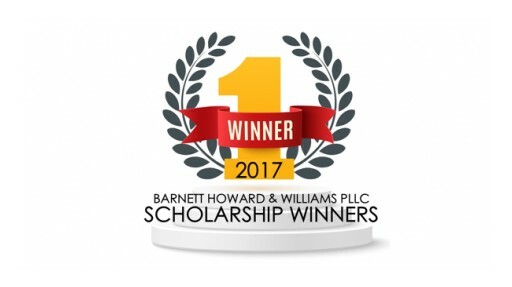 Barnett Howard & Williams PLLC announces the recipients of the 2017 Military Veteran Law Student Scholarship and the Military Dependent Undergraduate Scholarship. Sign up for email updates from Barnett Howard & Williams PLLC.